Thank you for shopping with KS Piercing, our aim is to provide with the best and most unique body jewelry solutions to any online shop. 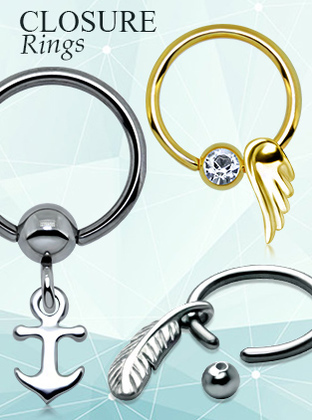 Online store owners Piercings, tattoo studios, wholesalers and Chain stores. Business who can complete a $99 minimum order, lower order amount will not be accepted. Small orders (Up to $500) will be sent within not longer than 48 hours and in some cases even on the same day. Larger scale orders (Above $500) will be shipped within one week. Once sold, the goods will not be taken back under any circumstances unless the goods sent are not the items ordered or are defected. Either replacement or refund will be given for that error. Defected items will be replaced or repaired, according to the manufacturer assessment. All returns will be accepted only when the defect item was caused by the manufacturing side. If the defect occurred by wrong handling or treatment from the purchaser, a replacement or return of any kind will not be available. All returned items must be approved prior by KS Piercing and all returns must be made within 15 days after received of consignments.